Today’s monetary system, combined with fractional reserve banking, has a lot of risks. It is vulnerable to bank runs, inflation, and economic bubbles, to name just a few, yet those risks remain invisible to the majority of people. This article provides links to a video and an extended report that provide insights into the question as to why today’s paper based money system is doomed to fail and how you can protect against such a collapse. So writes Taki Tsaklanos (goldsilverworlds.com) in edited excerpts from his original article* entitled Real vs. False Money – Key Insights From Monetary History. Global Gold Switzerland (globalgold.ch), a bullion company specializing in brokerage and custodial services exclusively in the physical precious metals market, has created a report (which can be obtained here) and a short educational 9 minute video (which can be viewed here) in which they explain how our current monetary system works, where it fails and how you can protect yourself against it. In this particular article we provide 12 insights from the extended report…. Governments have a track record of diluting the value of their currency. History is full of examples where governments started mixing worthless metals into gold coins as soon as they ran into financial trouble. The first documented case of fraud by a banker dates back to the year 393 BC. A banker called Passio used bribes and falsified documents to misappropriate the gold which was entrusted to his bank. It became a widely used practice of goldsmiths and other depositories to lend out the gold which was handed to them for safekeeping; earning interest on lending out gold in the form of receipts; which wasn’t legally theirs. The ancient Greeks were the first to use gold coins: The Drachma. 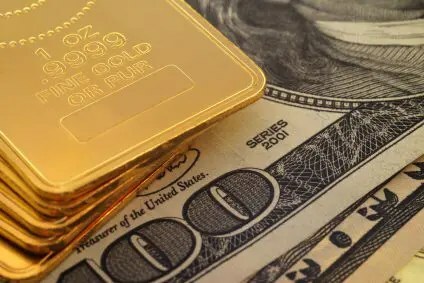 Different civilizations in history, like the Greeks, Romans and the history of city states in Italy, have proven that the blossoming of these civilizations took place when they adopted gold or silver based currencies. The economic and social collapse of the Roman Empire was caused by the inflationary policies of the state; which reduced the purchasing power of the currency. On the other hand, price caps were set for basic goods. This led to the demise of many businesses and brought trade in the Empire to a halt. This development brought banking to an abrupt end. It took nearly 800 years until the banking system was rediscovered during the Middle Ages in the Italian cities. The gold coin “Solidus” was the world currency for over 800 years. It was used from China to Britain during the Byzantine Empire. At the end of the empire the currency was issued only in silver and minor copper coins with no gold issue. Banks and governments have been acting as an “alliance” till this day because the fractional system benefits both. Why? Because governments give the banks the right to “print money”. In exchange, they expect the banks to buy their bonds (which is nothing more than debt) so they can continue to spend money which they simply don’t have. If the gold standard had not been abandoned, World War I would not have lasted longer than a few months. Without the gold standard, however, the war went on for more than four years, ruined leading economies and claimed millions of lives. Before becoming the chairman of the Fed, Alan Greenspan wrote: “This is the shabby secret of the welfare statists’ tirades against gold. Deficit spending is simply a scheme for the confiscation of wealth. Gold stands in the way of this insidious process. It stands as a protector of property rights. If one grasps this, one has no difficulty in understanding the statists’ antagonism toward the Gold standard”. Since 1971 the [world currency system has been]…a paper based reserve currency. There is no gold backed currency anywhere on the planet. This has never happened in the last 3,000 years. Gold was “demonetized” on August 15th 1971 when US President Nixon “temporarily” closed the gold window because, he said, US citizens would be better off, as the dollar would hold its value. Since then, however, the value of the dollar has lost some 90% of its value since then. History has shown that when governments go too far the market loses trust in their currency, which results in hyperinflation. In the 20th century alone, we have seen 50 hyperinflations across the world. Debt levels are not sustainable anymore…but there is one concerning fact: Somebody has to pay for it. 1. Hyperinflation: 21 Countries Have Experienced It In Last 25 Years – Is the U.S. Next!